A couple weeks ago at the office, I grabbed a container of pineapple I’d brought for the week and a fork. I was deep in “design mode,” so I was absent-mindedly filling the hunger with pineapple chunks while staring at the amorphous shapes on my screen. …and it was empty. I’d cored a pineapple, cut it into chunks, and put the whole thing into the container out of which I was eating right then. In other words, I ate a whole pineapple. Things like this don’t happen often, but let’s be real. At some point, you’ve probably done something similar and had a fleeting moment of fear for your future when you realized it, right? 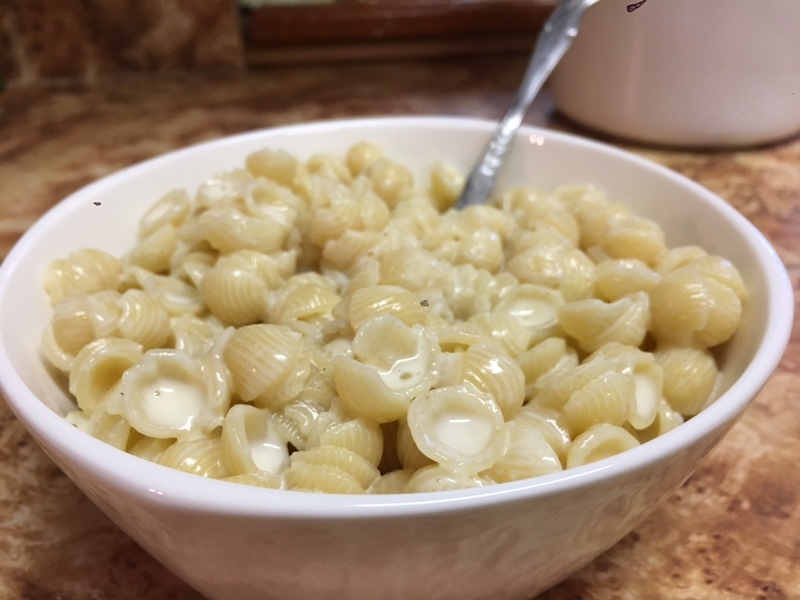 Tell me I’m not the only person who’s ever eaten a whole box of Annie’s Homegrown Shells and White Cheddar Mac & Cheese in one sitting. I mean, it doesn’t LOOK like too much, right? Tell me about your accidental gluttony (or not so accidental gluttony) moments! I’d love for us all to have some camaraderie over our indulgence.